Happy Hip Hop! This week, just like last week our Unity Design Team is featuring gorgeous Vintage Street Market papers and boy, are they gorgeous and fun to work with! 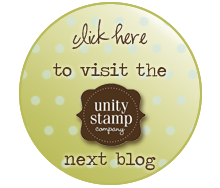 Check out their blog and see what all the Vintage Street Market Design Team has been creating with Unity stamps! They are sure very inspiring!!! I was lucky to receive the Dimestore Vogue paper collection and here is the pretty card I came up with using the the August Unity KOM. Here is the Dimestore Vogue paper collection for you to see. I also got to use some pretty brand new Spellbinders, Floral Flourishes, Spiral Blossom Two, Picot Edge Circles. And now it's time hop onto Jen's blog to see what fun creation she has waiting for you! Well, hope you enjoy the hop! Have a wonderful day!